Osmania University announced the Bachelor of Pharmacy or B.Pharm CBCS-PCI and Non-CBCS exam results on the official website of the varsity. 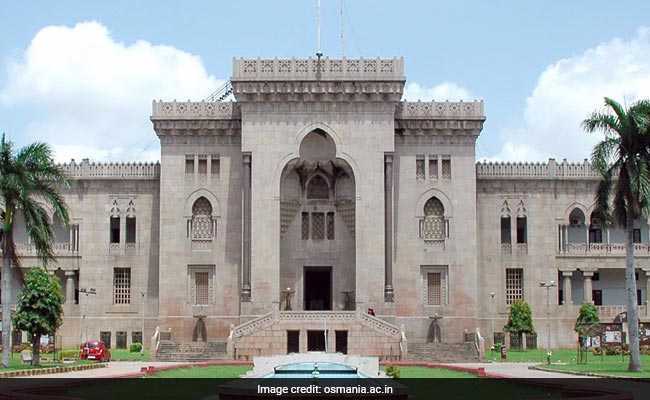 Osmania University result 2018: Osmania University announced the Bachelor of Pharmacy or B.Pharm CBCS-PCI and Non-CBCS exam results on the official website of the varsity. The OU has also announced MBA (MAM) results yesterday. Both OU results for B.Pharm and MBA can be accessed from the website, osmania.ac.in. To access these OU results, the students will have to enter their exam hall tickets numbers. On November first week, Osmania University released the Master of Pharmacy or M.Pharm (CBCS, PCI and Non-CBCS) August 2018 exam results on the official website. B.Pharm results of exams held in July - August this year have been released for CBCS-PCI students while 4/2 make-up September 2018 results have been released for non-CBCS students. Step I : Go to official website of OU: www.osmania.ac.in. Step II : Click on the Exam Result tab on the home page. Step III : Click on the relevant result link. Step IV : Enter your examination hall ticket number. Step V : Submit and check your result.